On Thursday, January 28th, rooftop solar advocates chalked up a major victory as the California Public Utilities Commission (CPUC) voted to adopt new rules that preserve net energy metering (NEM) in the state. The decision was a notable defeat for the state’s three investor-owned utilities (IOUs), which had lobbied hard to increase energy bills for rooftop solar customers by instituting monthly flat fees and reducing the rate of compensation for solar-generated electricity. NEM is critical to making rooftop solar financially attractive. It allows customers who have their own solar panels to benefit from their investment and be compensated for any excess electricity they export to the grid. Rooftop solar customers’ meters track both the amount of electricity they draw from the grid when their solar system is not producing enough to cover their needs and the electricity that is exported onto the grid when the system produces more than they need. Each month, rooftop solar customers’ utility bills track the cost of electricity consumed from the grid and assigns credits for the electricity exported to the grid, with both costs and credits currently calculated at the retail rate. At the end of the year or “true-up period”, if customers have exported more electricity than consumed from the grid, the IOU compensates them at a below market, wholesale rate. The CPUC’s new plan, mandated by AB 327 last year and approved by the Commission in a 3-2 vote, ensures that NEM will be upheld for new rooftop solar customers. One key change is that all such new customers will be on a time-of-use rate schedule. This means that the retail rate for electricity—applicable to both purchasing from grid and crediting electricity exported to the grid—increases during times of peak electricity use and decreases during off-peak times. For example, one kWh of electricity costs more and draws a higher credit at 5pm when demand for electricity is high, than at 1am when demand is low. While time-of-use rates make it difficult for rooftop solar customers to estimate their long-term savings, some solar advocates note the potential for well-designed time-of-use rates to incentivize shifting energy consumption from peak-use hours to off-peak hours when solar actually produces the most energy. Education about the implications of time-of-use rate structures is key to ensure customers are not hit with much higher energy bills. This is an area to watch as PG&E recently shifted its higher rate peak times to later afternoon and evening, which effectively reduces the benefits of rooftop solar. Though the IOUs’ request for a monthly flat fee for rooftop solar customers was rejected, some new fees were approved, including a one-time interconnection fee when panels are installed. In addition, rooftop solar customers must now pay some non-bypassable fees (such as public goods charges, access charges, and certain taxes) on all electricity consumed from the grid rather than on net electricity consumed, as in the current NEM system. In a last minute switch, CPUC President Michael Picker exempted one of the non-bypassable fees from the proposal, the transmission access charge (TAC). The TAC pays for upkeep of transmission lines, which are the high voltage, long-distance lines that carry power from distant power plants to the local distribution grid. As rooftop solar energy is only transmitted through local distribution lines, solar advocates argue that solar customers should not have to contribute to costly transmission lines. This late change was contentious, costing the votes of the two dissenters on the decision, who claimed that this exemption unfairly subsidized rooftop solar customers. 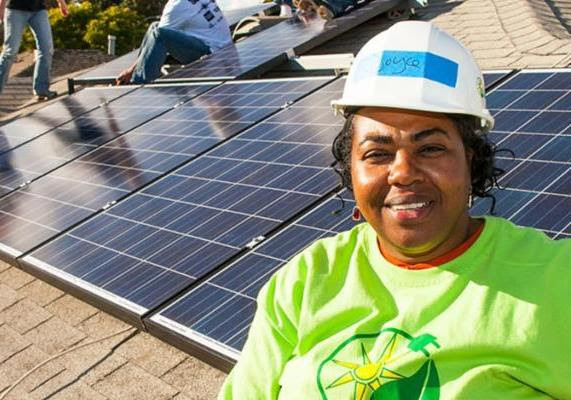 Clean energy advocates take offense at the notion that rooftop solar customers are being subsidized by non-solar customers, an opinion propagated by the IOUs since the inception of NEM. By contributing decentralized renewable energy, rooftop solar customers are reducing greenhouse gas emissions responsible for climate change as well as reducing the need to build new power plants and very costly transmission lines, which are paid for by all ratepayers. If those benefits are taken into account, rooftop solar arguably saves Californians money. Despite the compromises, the January 28 decision is a landmark victory for decentralized energy production and a welcome shift for the CPUC in not promoting the state’s IOUs.